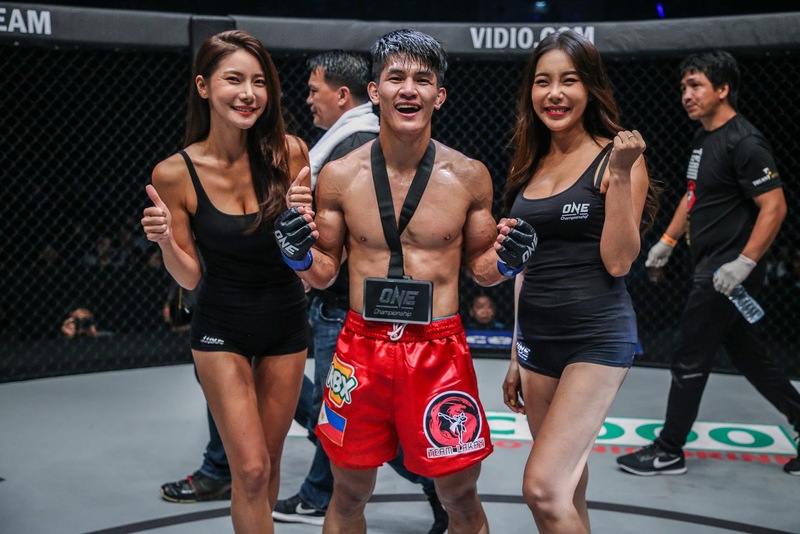 Filipino flyweight phenom Danny “The King” Kingad recorded another impressive victory as he edged out Japanese newcomer Yuya “The Little Piranha” Wakamatsu at ONE: CONQUEST OF HEROES last 22 September in Jakarta, Indonesia. The Team Lakay stalwart claimed his third-straight win and his eleventh mixed martial arts career win overall. 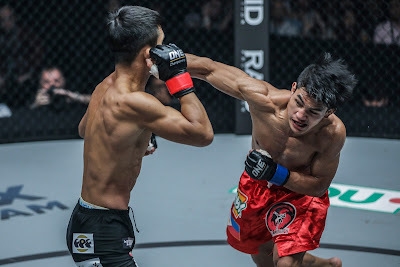 Making Kingad’s performance all the more impressive was that he had to weather an early striking storm from the hard-hitting Wakamatsu to grind out a unanimous decision victory after three rounds of action. In the first round, Wakamatsu showcased his much-talked about power as he rattled the Filipino with a hard low kick and then followed that up moments later with a right straight that dropped Kingad. Looking to survive the onslaught, Kingad relied on his wrestling to grab hold of Wakamatsu and take the Japanese striker down to the mats. On the mat, Kingad imposed his will and took over the match. “Coach Mark Sangiao drew up a game plan, and that was to throw strikes to set up a takedown, because we knew that wrestling would be my advantage,” Kingad added. After the tumultuous opening moments of the first round, Kingad executed the game plan perfectly, mixing up his punches and kicks to time his takedowns well and get the action to the ground almost at will. Having it his way on the canvas, Kingad displayed his continuously-improving ground game as he threatened to end the bout with a submission on a number of occasions. After a hard-fought fifteen-minute contest, it was Kingad who had his hand raised in front of the martial arts fans at the Jakarta Convention Center. “I’m really happy with this win. It was a tough one, but God is good and He helped me get this win,” he claimed. With a winning streak going, the former ONE Flyweight World Championship contender is inching closer and closer back to top contender status in the stacked 61.2-kilogram weight division. “I’m ready for anyone. Whoever ONE Championship wants to put in front of me, that’s who I’ll prepare for,” he concluded.